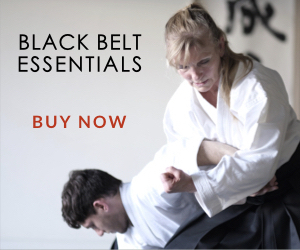 This fascinating research about the secret technical manual of Daito-ryu Aiki-jujutsu is the result of a collaboration between Aikido Journal and Guillaume Erard. 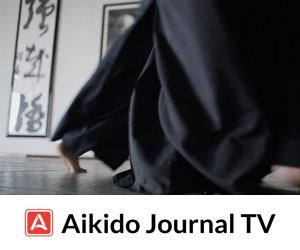 A special thanks to Guillaume for sharing his expertise and work with the Aikido Journal community. Daito-ryu Aiki-jujutsu (大東流合気柔術) is a koryu, one of Japan’s ancient martial arts schools, but unfortunately, its origins are far less well documented than that of most others. However, it shares with those the same secrecy when it comes to its technical catalog. Regardless of the specifics of its inception, the wider diffusion of Daito-ryu Aiki-jujutsu only began rather recently, when in the late 19th century, Takeda Sokaku started to teach seminars across Japan. It wasn’t until his son Tokimune took over as headmaster that a more-or-less standardized curriculum came to be formulated and publicized to some extent. In spite of this effort, the nature of the technical progression in Daito-ryu, and the considerable time necessary to master its arcane make it so that only few practitioners are ever exposed to its deep teachings. Thus, beyond the rather basic level covered by the first Hiden Mokuroku scroll, which includes over 100 techniques, there are relatively few documents that describe the higher level material. One of those rare documents was historically held by the Takumakai, a Daito-ryu organization formed by the students of Hisa Takuma and Nakatsu Heizaburo [read more about Nakatsu Heizaburo here], two direct pupils of Takeda Sokaku. What makes this record even more special is that it consists in over 1,500 photographs, illustrating over 500 techniques. It was compiled into a collection called Daito-ryu Aiki-budo Densho Zen Juikkan (大東流合気武道伝書全十一巻), better known as Soden (総伝), and it was usually only made available to advanced practitioners of the Takumakai, so relatively few people have been able to look at it in its entirety. The late Stanley Pranin was given a copy on microfilm by Hisa Takuma himself, and since his untimely passing, Josh Gold, his successor as the editor of Aikido Journal, has entrusted me with the task of continuing some of Stanley’s work on archives related to Daito-ryu Aiki-jujutsu. I would like to offer a short introduction to this exceptional document, which is still little known to most aikido practitioners, in spite of the fact that it is of particular relevance to them, as we shall see. The origins of Soden can be found in the Kansai region, and more precisely, in Osaka’s Asahi Newspaper. There, a small group of the journal’s security service received martial instruction for several years. From 1934 to 1936, the group learned from Ueshiba Morihei, who later founded aikido, and from 1936 to 1939, it is Ueshiba’s own teacher, Takeda Sokaku, who took over the teaching at the journal. 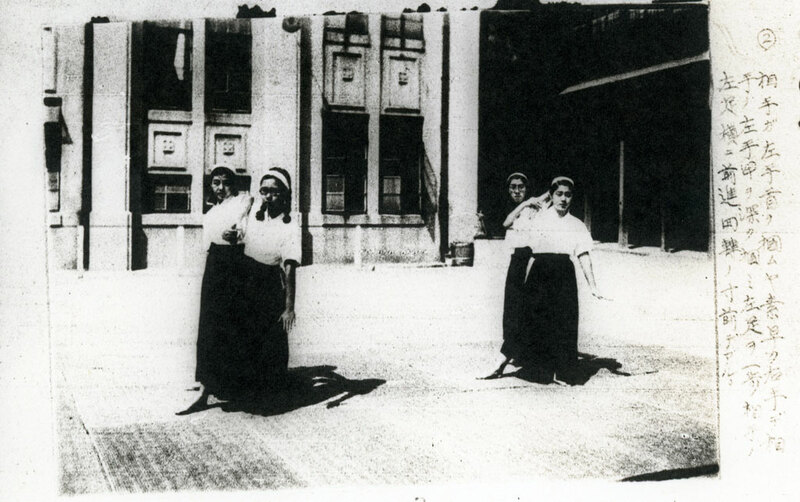 After the classes, some of the students had taken up the habit to secretly photograph themselves performing the techniques that they had just learned on that day using the newspaper’s substantial photographic material. According to the legend circulating within the Takumakai, this took place after each class behind the teacher’s back, while he was taken to the bath by Hisa Takuma, the leader of the group. More than 1,500 pictures were taken and were carefully preserved in envelopes. A few years later, between 1942 and 1944, Hisa Takuma undertook the daunting task to organize these pictures in several volumes. Some explanations on how to perform the techniques were also added, most likely not directly by Hisa but based on his instructions. An important point to keep in mind is that Takeda Sokaku awarded the Menkyo Kaiden (a document that certifies that a teacher has taught the entirety of his knowledge to his student) to only two people in his entire life. Hisa Takuma being one of them, this probably made him the ideal person to undertake such work. A total of 547 techniques are recorded in the Soden, but according to Mori Hakaru, who was appointed director of the Takumakai by Hisa, there are hundreds of additional techniques that were taught at the journal. Some of those techniques were taught informally by Hisa to his own students, but others were not, which indicates that much might have already been lost, and it gives us an incentive to preserve and study the material contained in the Soden. It should be noted that the pictures were taken by members of the journal’s security department, and not by professional photographers, so even though the quality is generally quite good, it is variable throughout, especially in terms of exposure. Considering that Stanley was given a microfilm version of Soden by Hisa, and not fully developed pictures, the variable quality could also be due to the processing and digitization process. 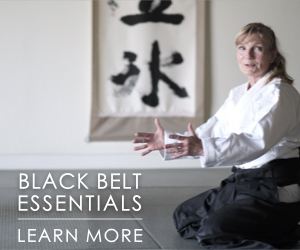 This section gathers the techniques taught by Ueshiba Morihei. Interestingly, they appear under the name aikido (合気道) in Volumes 1 through 5. The precise reason why this term was used here is unknown but the Soden’s publishing coincides with the start of the popularization of Ueshiba’s art under the name aikido, and in particular, its registration in 1942 with the Dai Nippon Butokukai. It is possible that Hisa could have chosen to use this name to contrast with the techniques taught by Takeda Sokaku contained in the subsequent volumes. 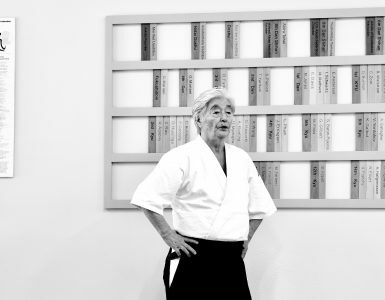 Throughout his life, Hisa quite happily referred to what he was teaching as “aikido,” and it could also have been a mark of respect towards his first teacher. The relationship between the two actually lasted well after Ueshiba’s departure from Osaka in 1936, and he even awarded Hisa the 8th Dan in aikido in 1956. All I can say about the use of the title “Aikido” is that this is the moment when Ueshiba Sensei began spreading Aikido, and that name became very well known. That may be why Hisa Sensei used this name. Ueshiba Morihei used to travel to Osaka every month to teach the Asahi group, and he also used to send some of his students to teach in his place, including Yukawa Tsutomu, Shirata Rinjiro, Funahashi Kaoru, Shioda Gozo, and Yonekawa Shigemi. The latter is prominently featured as Ueshiba Morihei’s uke in the famous demonstration that was shot at the Asahi Journal in 1935, as well as in the set of pictures that were taken at the Noma Dojo the following year. The first five volumes of Soden therefore constitute a third essential piece of information for us aikidoists who wish to understand the techniques taught by Ueshiba Morihei during this very important transition time for aikido. The people seen demonstrating the techniques are mostly Yoshimura Yoshiteru as tori and Kawazoe Kuniyoshi as uke. Nakatsu Heizaburo is also visible as uke on some of the pictures. The photographs of these volumes were taken in one of the newspaper’s resting rooms that was covered with traditional tatami. The background curtain served to hide the futon that were stacked in the back. It is likely that this room also served as a dojo early on, before the practice was eventually moved to the Sonezaki Police Station in the Kita ward of Osaka. While a lot of the techniques gathered in this section are considered to be for beginners and intermediate-level students, there is also some rather difficult material. 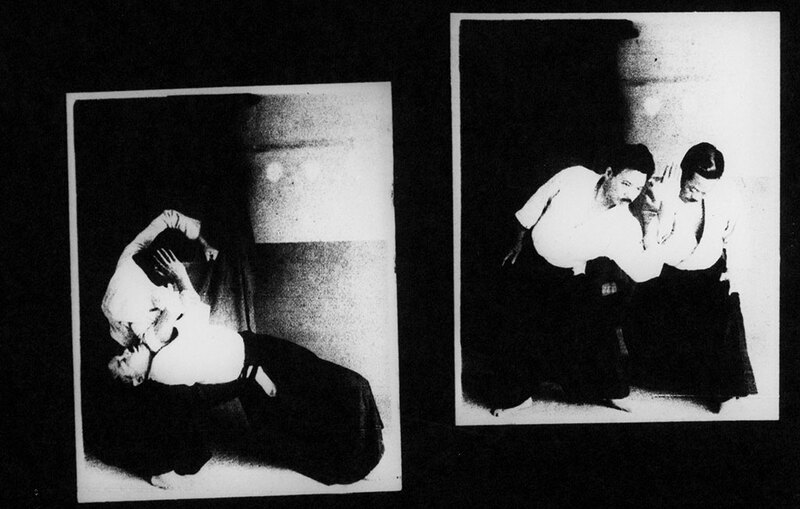 Interestingly, the first three techniques found in Volume 1 are performed from a seated idori position and look like ippondori, gyaku ude dori, and kuruma daoshi, which are the first techniques of the Hiden Mokuroku curriculum that most Daito-ryu practitioners know today. Volume 5 contains some techniques performed against several attackers (taninzudori) and on those, Nakatsu Heizaburo serves as second uke. According to Hisa Takuma, taninzudori techniques were not considered to be martial techniques, but rather, devices to be used in demonstration to impress a neophyte audience. Considering that the Asahi Journal group was meant to learn techniques for the sole purpose of defending the journal’s staff and assets against terrorist attacks, one can only speculate on why they might have been taught those seemingly non-applicable techniques. The taninzudori are not high level techniques, they are not martial techniques, they are just staged for the demonstrations. It amazes people who do not know what the real martial arts are and makes them think that the Daito-ryu is splendid. These techniques are a form of propaganda. That said, a number of the techniques present in the subsequent volumes, containing the material taught by Sokaku, are not necessarily practical techniques per se, and they might have been including as part of a technical progression rather than for the isolated efficacy. The sixth volume, which contains the more advanced techniques taught by Ueshiba Morihei, is entitled Dai Nihon Sogo Budo Asahi Ryu Jujutsu (大日本綜合武道旭流柔術). Nakatsu Heizaburo is performing the majority of the techniques here. It is interesting to note that this is the only section in the entire Soden that has no explanations to accompany the images. According to Amatsu Yutaka, a close student of Hisa Takuma, some explanations were added in some later copies of Soden but unfortunately, Stanley’s copy must be anterior to those. 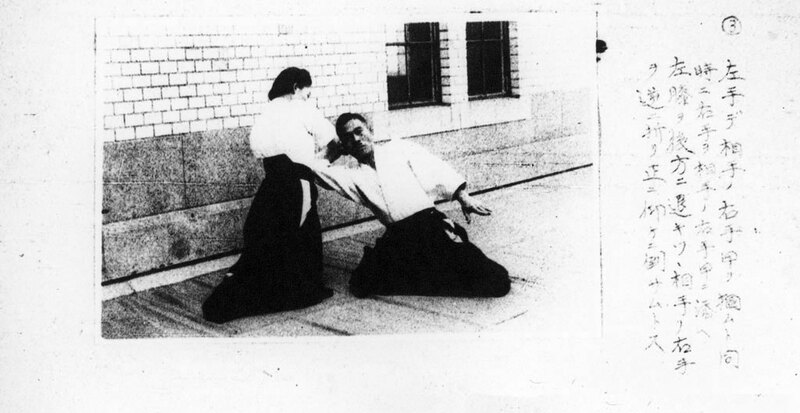 Excerpt from Volume 6 showing Nakatsu Heizaburo performing the advanced techniques taught by Ueshiba Morihei. From there on, the volumes no longer bear the name aikido but, instead, that of Daito-ryu Aiki-jujutsu Gokui Soden (大東流合気柔術極意総伝), which is understandable since they focus exclusively on the techniques taught by Takeda Sokaku. Once again, Nakatsu Heizaburo is seen performing a great number of the techniques. Interestingly, it seems that the technical abilities of Nakatsu, who was also a 6th dan Judoka from the Kodokan, are quite highly regarded in the Daito-ryu world, which might explain why he was so frequently demonstrating the higher-level material. There was a man named Nakatsu Heizaburo who practiced with Hisa Sensei in those days. According to Takeda Tokimune Sensei he was the most skilled technically among those who practiced at the dojo and was even better than Hisa Sensei. It has to be noted that as we advance through the volumes, the number of photos available for each technique decreases. Indeed, from an average of three photos per techniques in the first volumes, some of the later techniques are only illustrated with one single shot. This is probably due to the fact that Japan was facing increasing difficulties during the war and that resources became scarce. Technically speaking, the techniques shown here make a more substantial use of the legs, which is one of the hallmarks of the superior Daito-ryu Aiki-jujutsu techniques. Do not throw the enemy far away. If you throw far, it will be difficult to use your legs, moreover, if the enemy knows how to take ukemi, the projection will have no effect. You should crush the enemy at your feet. This is the basic principle of Takeda’s Daito-ryu. The following sections are not Soden volumes per se, they consist of extra material added by Hisa. Upon closer scrutiny, none of the techniques presented in parts 10 and 11 are actually new, but interestingly, the explanations do vary from those of corresponding techniques found in Volumes 1 to 9. Why can’t police officers, who still practice arts like Judo and Kendo, avoid such sacrifices [i.e. dying or being wounded]? The main reason is that they have to arrest criminals without killing or injuring them. I do not think that Judo or Kendo, as they currently exist, are sufficient for that, so I developed police tactics that allow them to stop or interrogate criminals safely without being wounded. I modeled these tactics to the secret techniques of Daito-ryu Aiki-budo techniques. After being invited to present some of these techniques to police officers, I made some of them public in the Hogi Hiden manual, and I have widely distributed it among the police. Excerpt from Chapter 10 showing arrest techniques for the police. Women are not naturally as strong as men. However, it is not difficult for them to protect themselves and defeat an attacker once they have learned the martial arts. Since martial arts do not depend on physical strength, it does not matter if the attacker is stronger. It is in this that lies the extraordinary power of the martial arts. Let me introduce Aiki Budo techniques in a usable form for female self-defense and show you how they work through photographs. It is interesting to note that at the end of this section, a number of pictures show a group of middle school girls practicing what is described as Aiki Budo. The date is unknown but it is likely that those pictures were taken at the same time as that of the Soden publication, i.e. in the early 40s, which is quite significant. One should note that only the nine officially recognized Budo are officially allowed to be taught as part of the Japanese education system. This was started under the tutelage of the Dai Nippon Butokukai and those disciplines include Aikido, Judo, Jukendo, Karatedo, Kendo, Kyudo, Naginatado, Shorinji Kempo, and Sumo. The first person who started to modify the ancient Japanese combat techniques in order to teach them within an educational context was Kano Jigoro, the founder of Kodokan Judo. It was far from a straightforward endeavor though, and Kano had to submit several unsuccessful applications, and each time to modify further the original koryu Ju-jutsu techniques, before he could eventually get to a Judo that was deemed fit to be taught to youths. We saw earlier that the early 40’s was precisely the time when the name aikido was registered with the Dai Nippon Butokukai, most likely for similar purposes. 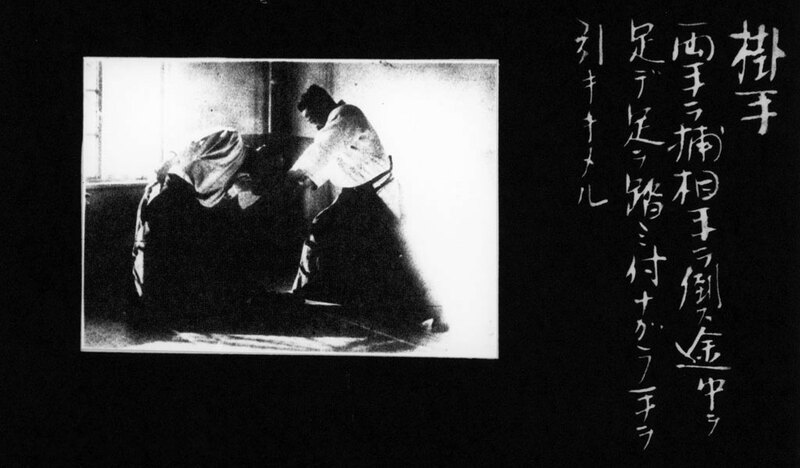 According to Hirai Minoru, who was Ueshiba’s representative to the Butokukai, the term aikido was not solely intended to serve as an moniker for Ueshiba’s art, but it was meant to gather a number of other Ju-jutsu, and considering the terminology used and their shared history, it is likely that Aiki Budo fitted rather well within that framework. Mr. Hisatomi proposed the establishment of a new section including arts for actual fighting based on jujutsu techniques [and he] argued for his proposal energetically and explained that “aikido” would be a better name than aiki budo for this new section, because it would be better to stress the idea of “michi” or way. He proposed that the name “aikido” be used as term to designate an all-inclusive budo and I agreed with him. Middle school girls practicing Aiki Budo in Osaka (c. 1940). What is left of the Soden techniques today? The Soden is only a part of the techniques taught at the Asahi Journal dojo, and given that all the contemporaries of this era are no longer of this world, many techniques have simply been lost through time. Moreover, even though during Hisa Takuma’s lifetime, his students learned some Soden techniques (though not all, and not necessarily in the order of the book), the organization later decided to adopt the curriculum developed by Takeda Tokimune in Hokkaido. The students who joined the organization after Hisa’s death therefore learned primarily the techniques of Hiden Mokuroku, and the study of the Soden material became relegated to special seminars. Moreover, contrary to what some people think, the possession of Soden does not in any way guarantee an understanding of the techniques it contains because, as we have seen, the explanations, if any, are rather succinct. It should also be kept in mind that the photos were taken by students who had seen them only once, Takeda Sokaku being known from never demonstrating the same techniques more than once. It is therefore possible that their execution was not perfect. Of course, the Soden was never meant to have any other function than that of a memory aid; it was certainly not thought to be a teaching tool, and Hisa himself only rarely referred to it during his own classes. In fact, the same thinking can extend to all the Daito-ryu rolls and books: students are expected to take their own notes and documents are only issued after the practical learning has taken place. A roll is something you get after, it’s not something you learn from. […] Please memorize the techniques now, because I will not write them on your Menkyo Kaiden certificates. In addition, the number of people who have received a thorough instruction of the Soden techniques is very small nowadays and some of the techniques may already have more or less fallen into oblivion. However, I do not know if he [Hisa Takuma] remembered 100% [of the techniques] because he never referred to Soden pictures when he was teaching. Mori Hakaru and some of Takumakai’s top members have studied the Soden for almost ten years in order to reconstruct some of the forgotten techniques, basing themselves on other elements of Daito-ryu Aiki-jujutsu’s curriculum. A video taken in the 1970’s, during Hisa Takuma’s lifetime, details some of Soden’s techniques. Outside of the Takumakai, this is probably the only way left for many practitioners to witness those techniques. Let’s hope that there will be a sufficiently large number of people taking an interest in learning these techniques in the future so that they can continue to be passed on to the next generations! I would like to thank Aikido Journal and Josh Gold for giving me access to those precious documents. Guillaume Erard is a permanent resident of Japan. He trains at the Aikikai Headquarters in Tokyo, where he received the 5th Dan from Aikido Doshu Moriteru Ueshiba. 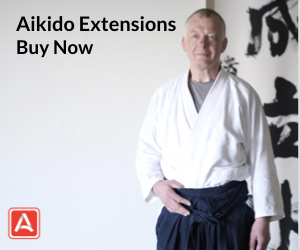 Guillaume regularly gives Aikido seminars throughout Europe as well as lectures on its history. He studied with some of the world's leading Aikido instructors, including several direct students of O Sensei, and has produced a number of well regarded video interviews with them. Guillaume also holds the rank of 3rd Dan in Daito-ryu Aiki-jujutsu and serves as Deputy Secretary for International Affairs of the Shikoku Headquarters. He is passionate about science and education, and holds a PhD in Molecular Biology. 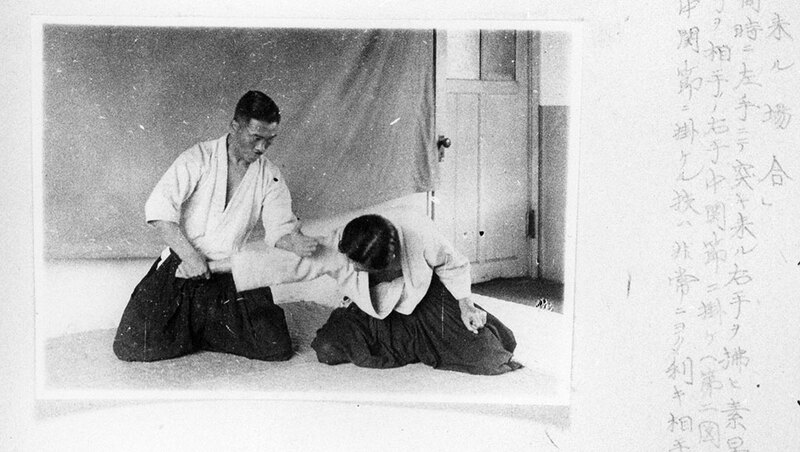 This was an excellent article, on the origin of Aikido. There were many Daito Ryu techniques, that were too severe on the joints or made people fall down at unnatural angles, that caused permanent injuries or death. These Daito Ryu techniques, were weeded out of the Aikido curriculum, to avoid permanent injuries or death. This way, Aikido could be practiced, at a flat out speed, without permanent injuries or death. If your statement was true and we follow your logic, that would imply Daito-ryu practitioners have a very short lifespan practicing the art! I can tell you from personal experience that your statement about the danger of practicing Daito-ryu is false. My advice is to go find a Daito-ryu dojo and experience it for yourself before drawing conclusions about the past or about the art. Some of the elements of Daito-ryu were indeed removed to create Aikido but Daito-ryu itself has a pretty structured technical curriculum that is geared towards long term progression, and the techniques are therefore taught in a way so as not to cause permanent injuries or death. 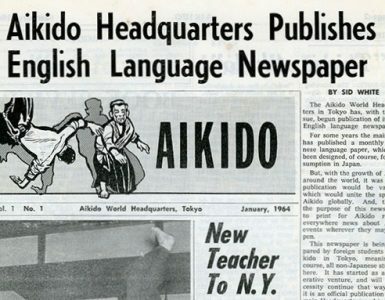 By the thread here that I started trying to get to the bottom of the name usage it seems that Minoru Hirai was wrong about the history and usage on the name Aikido. The question would be was he really “wrong” or was there something else behind his answer. Thanks Igor, yes I am aware of this discussion. I think that in terms of the idea that the goal was to integrate Ueshiba’s school, and possibly a bunch of other more or less linked entities, to the DNBK is plausible, but I do share Ellis’ suspicions that it was probably not a huge group. Also, the term “Aikido” must have been floating around well before that. Incidentally, I am not aware of any rebuttal issued by Nidai Doshu or any other Aikikai official following Hirai’s interview. I would have thought that they might have objected if his statement was completely untrue. Well, honestly I don’t see why would the Aikikai object at all. It fits the postwar narrative of O’sensei “studying various martial arts” (not Daito ryu) pretty well because it actually makes it seem how there were other arts that fit the “Aikido” description. Also it helped the late Hirai in terms of recognition, and popularization, by adding the suffix “Aikido” since it was officially recognized by the DNBK. It’s basically a win-win situation. Sorry I do not understand the logic of your first sentence at all. 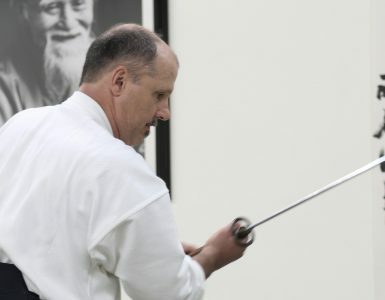 In fact, whenever I brought up the topic with a number of very senior Aikikai Shihan, all sounded more keen to suggest that the term “Aikido” was Ueshiba Sensei’s own. In most of the world, even today, Aikido practitioners whatever the rank just go with the official ideology of O’sensei studying various martial arts until one day he achieved enlightenment like Buddha and became a pacifist. Probably even those high ranking Shihan had the same idea because that’s what for the most part was the official narrative disseminated by Kisshomaru. Therefore thinking of Aikido as an umbrella term actually fits that narrative pretty well because rather than O’sensei being a Daito ryu practitioner and gaining knowledge through Daito ryu and adapting everything to his Daito ryu core, he actually achieved his skills and mostly off course his “enlightenment” by studying various “Aikido-like” martial arts that were all know under that same term in the DNBK. That’s the basic logic, everything fits, even if it actually doesn’t. Is there any chance that we will see publication of the material? I wouldn’t hold my breath since as I said in the article, the Takumakai and other direct students of Hisa are pretty strict about who has access to it. Moreover, I believe that some of the material in it may actually fall under Japanese copyright laws. On a personal standpoint, I frankly would not see the point of releasing it without some detailed personal instruction and analysis to go with it. As an example, most Aikidoka’s hands are already full trying to makes sense of the material which is found in Budo Renshu. I recall a video where some have even attempted “rediscover” the techniques, to appalling results. This is all the more ironic when in fact, the content has never been lost and is crystal clear to any mid-level Daito-ryu practitioner. The bottom line, I think, is that we need more work on the tatami for any of this published material to keep its true value. There are still people who know some of it, and the Takumakai, for instance, is actually pretty welcoming to anyone who wishes to learn. The thing is that is that in terms of the techniques of Soden, it takes a darn long time. If you are interested in Soden or Daito-ryu and it’s relationship to Aikido I encourage you to visit a Daito-ryu dojo. I echo Guilliaume’s advice that you will not get much benefit from any of the Soden books without direct experience and why try when you can get direct transmission from legitimate teachers? Takumakai is a very open Daito-ryu organisation with some fantastic generous teachers with very deep skill sets. I will be blunt, you will not reverse engineer Daito-ryu Soden practice from a book no matter your background, there are too many fine details that you simply will not have without direct Daito-ryu instruction from a legitimate teacher. Well, please keep in mind that the density of Daito-ryu dojos drops sharply when leaving Japan. While many of the prolific writers and authors on AJ have devoted their lives entirely to the study of the budo, my guess is that most of the readers are just regular people that have a wide range of responsibilities that prevent them from traveling exhaustively, just to get to the nearest Daito-ryu dojo. For my part, there is not a single Daito-ryu dojo in my part of the country and I cannot and will not comment on the quality of instruction in other parts of the country. Takumakai doesn’t seem to operate a single dojo in Germany or – if they do – they are hard to find. I have a coffee-table book with paintings by Monet and van Gogh. Do you think that I got that because I believe that this would make me an artist? No. I have it because I enjoy looking at it. Studying the pictures is intrinsically meaningful and if I can nick one or the other technique, it’s all the better, but I don’t require it. I almost didn’t even bother to comment on the copyright argument, because of its weakness. ALL published material is under copyright law one way or the other. I didn’t ask you to publish it. The Takumakai should have an interest in doing so. Or see the art wither. You might want to consider the fact that Stanley had this document for a very long time and that he never took any step to publish it. I have not spoken to him about it so I cannot presume of the reason. You seem very critical of the Takumakai and I don’t really understand why. Note that a series of slides were published in Aikido Journal several years ago where Kawabe Sensei (Takumakai Shihan) was demonstrating some of the Soden techniques, with added instructions in English. To be frank, this is already going much further than what I personally would have done. A video was also created in the 80’s where many techniques were demonstrated. The Takumakai is doing precisely that you seek: it is making sure that people receive deep and adequate instruction, using this document, and the curriculum defined by Tokimune, so that the art does not wither. All things considered, and compared to many other schools, it is doing a pretty good job, and the limitation is more on the side of the people who claim they want to learn (I get emails on a very regular basis), but don’t/can’t take any real step to truly do so. I don’t see what releasing the Soden would do to help. The information is already being passed on in the most efficient way possible. They have an open door policy and people who truly want to learn just have to take the trouble to go and train with them. I think that at the heart of our disagreement is the fact that I (and others) believe that wider and uncontrolled diffusion does not equate to preservation of quality. You might come from the opposite side of the argument and I can respect that. We just have to agree to disagree I guess. Can we get a copy???? It is unlikely. For details, please see my previous response to Schröder. Very interesting information on a subject not normally available to the general public. Thank you! You are welcome! Nothing really new here but the information was quite scattered around various publications, including some Japanese exclusive, so I thought it would be nice to compile it here. It was very informative, and interesting. First of all, arigato gozaimashita for the informative post. I have to bug you and humbly ask you to reconsider the publication in whatever way. I don’t have and probably never will have access to a Daito Ryu dojo, this is the reality of many. But I would still be interested in seeing it, maybe even learning a small portion of it. Why not? Thank Paulo for your interest. As I explained above, this is not something that we would be able to do, only the Takumakai, or the heirs of Hisa Sensei, would be legally able to do so.